Upeksa Meditation Village is a Vietnamese Thien (Zen) monastery located in Penfield, a northern suburb in South Australia. 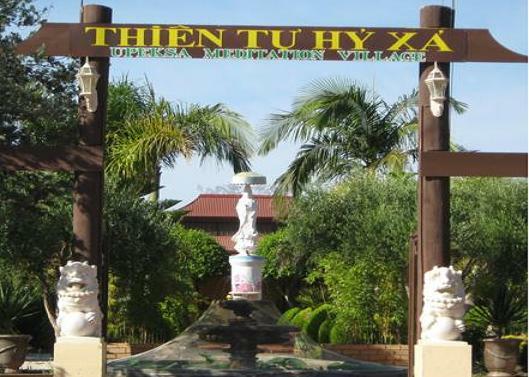 The monastery provides teachings on Buddhism and Thien (Zen) meditation in the Vietnamese Truc Lam (Bamboo Forest) tradition of the late 20th century. The teachings are offered in English and Vietnamese. Meditation retreats are conducted in the monastery from time to time to provide practitioners the opportunity for intensive practice. The monastery also commemorates and hosts major Buddhist events such as Buddha Shakyamuni’s Birthday, Bodhisattva Avalokiteshvara’s Birthday & Ullambana.